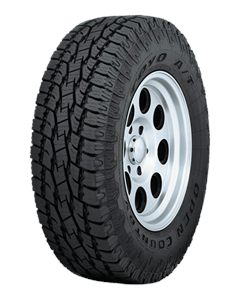 Toyo's Open Country A/T is built to exceed expectations for durability, traction and ride comfort. Designed for pickups, vans and sport utility vehicles. A versatile all terrain radial delivering superior handling, ride comfort and on/off road stability, along with rugged good looks and a quiet comfortable ride not usually possible in an all terrain tyre.